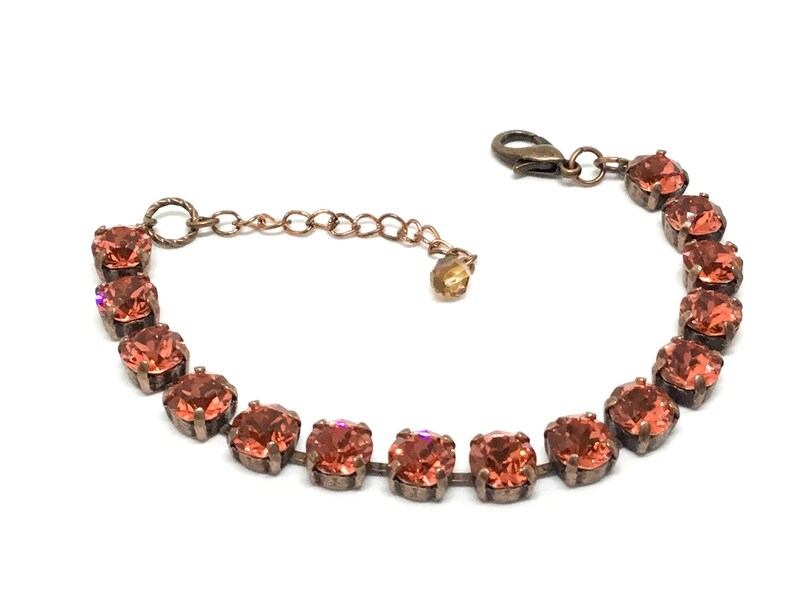 This a handcrafted Swarovski Crystal copper plated bracelet. 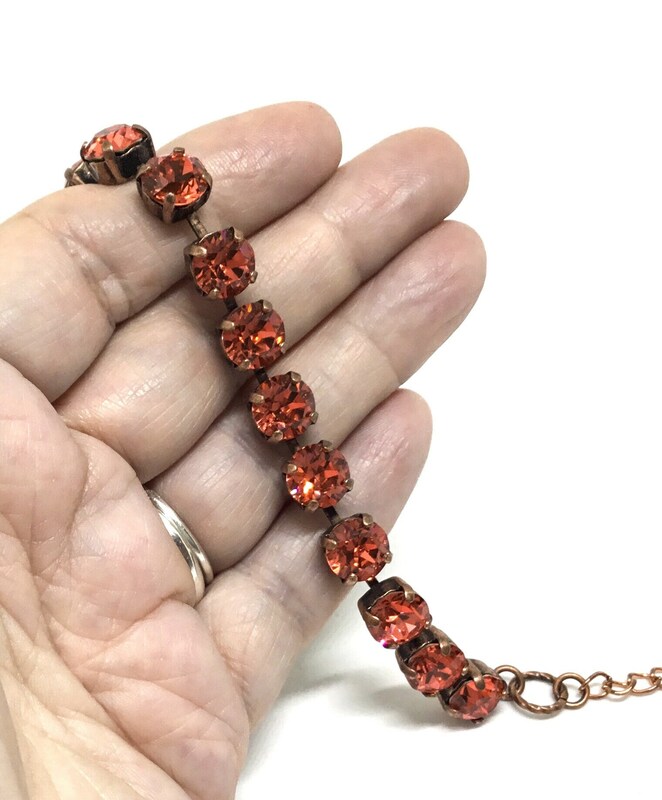 The 8mm Swarovski Crystals are a Padparadscha Color which is an orangey pink color. There are fifteen cups, the metal is copper plated brass, and it has a lobster claw closure. 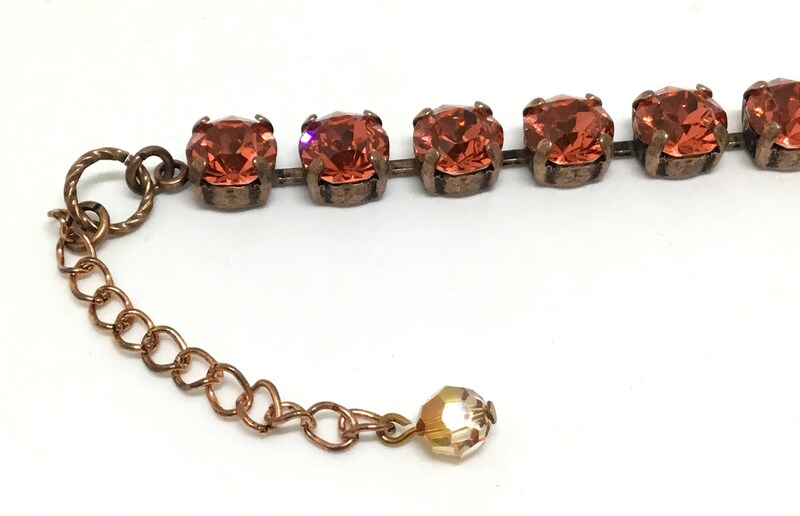 The bracelet measures 7” with a 2” extender. 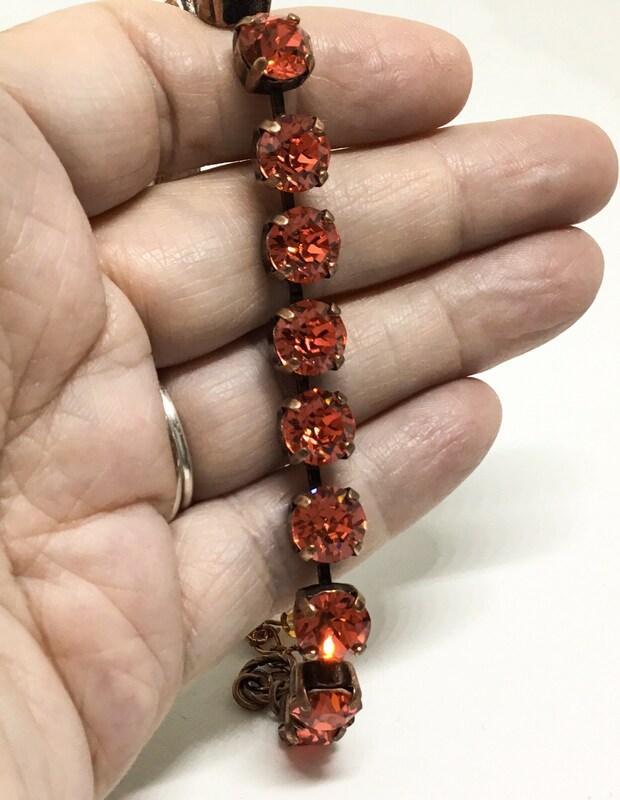 At the end of the extender is a small faceted light orange Swarovski Crystal Bead. 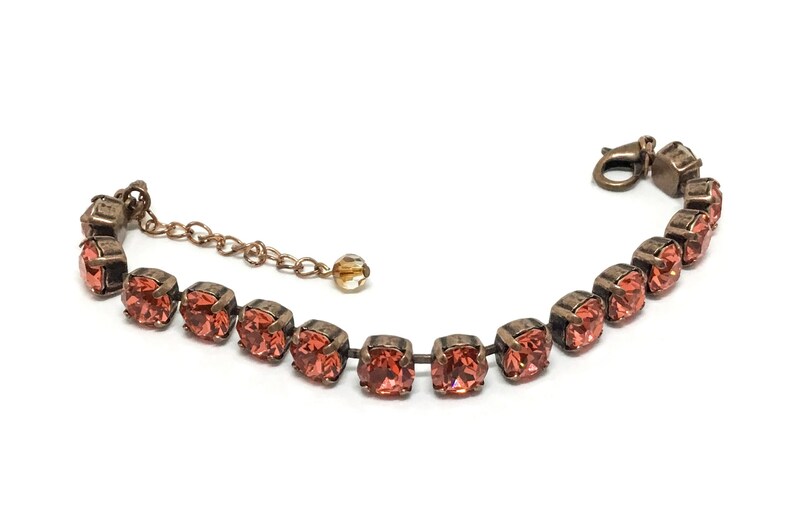 A great Holiday gift for a favorite someone who loves sparkly and glamorous jewelry!